Injuries are stressful enough to deal with, but if they prevent you from working or collecting a full paycheck, your stress can pile up as quickly as the bills that keep arriving in the mail. At the law firm of Paul Tendler P.C., in Somers Point, New Jersey, I understand the frustrations that injured workers deal with and advocate aggressively for them regarding workers' compensation and Social Security Disability (SSDI) claims, as well as personal injury lawsuits. I also assist clients with Supplemental Security Income benefits for disabled adults and children who qualify. 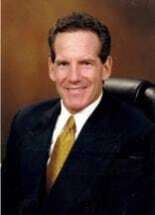 I have practiced law since 1984, serving Atlantic, Cape May and Cumberland counties and clients throughout southern New Jersey for most of my career. I take great pride in providing personalized attention to every client. I work directly with each client from the initial consultation through the resolution of the case. I appear at every hearing and know every detail about each client's case. My thorough knowledge of the New Jersey workers' compensation and SSDI processes allows me to help my clients obtain full compensation efficiently and cost-effectively. It is important to emphasize that my assistance is provided on a contingency fee basis, which means I am not entitled to a fee unless I obtain benefits for you. I can review the facts of your workplace injury to determine whether filing a personal injury claim also makes sense. If your injuries were caused by an independent contractor on the job site or by a defective product, you may be able to pursue additional damages through a personal injury lawsuit. Whether you are filing a claim for the first time or your original claim for workers' compensation or SSDI benefits was denied, I can help. Contact Paul Tendler P.C., to schedule a free, no-obligation consultation.